In the market for a car, but not sure a new Toyota in Milwaukee is right for you at this time? Don’t worry, we have plenty of used cars for sale here at Don Jacobs Toyota. In addition to fantastic Toyota cars and trucks, you’ll find quality used cars from many top brands. Our used car specials page is a great place to start your search, as well as our budget cars page. We also house a vast inventory of certified pre-owned vehicles. If you have any questions, give us a call at (414) 281-3100 or come in and see us at our Milwaukee used car dealership. We can’t wait to hear from you! 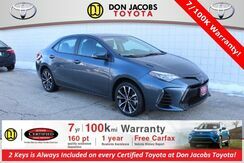 Want a like-new Toyota at a great savings? Don’t drive all over Milwaukee – stop in to Don Jacob Toyota and see the incredible Certified Pre-Owned Toyota cars and trucks we have in our inventory. You’ll be amazed at these vehicles’ quality and at the great savings you’ll get. Don’t wait, come see us today!